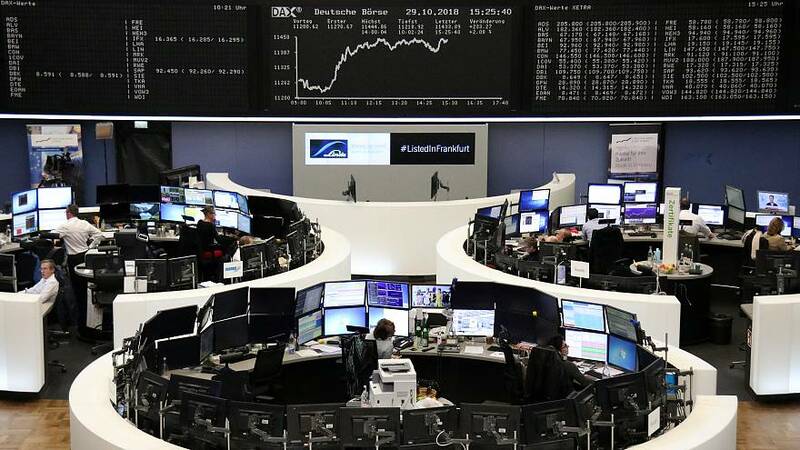 European shares rebounded on Wednesday after U.S. midterm elections delivered no big surprise, while a string of solid earnings updates and a rally in Spanish banks on a favourable tax ruling also provided relief. The pan-European STOXX 600 <.STOXX> benchmark rose 0.9 percent to a three-day high in a broad-based rebound that saw all major country and sectoral indexes trade in positive territory in early deals. "It is too early to predict where policy will go ... What matters for markets is what will happen to trade policy, health care policy, immigration policy, and fiscal policy," he said. Company results announcements drove the biggest movers on the STOXX 600, with Delivery Hero and Ahold rising 7 and 5.7 percent respectively after solid updates. Adidas fell 5.1 percent after the sportswear firm cut its revenue target due to a fall in sales in western Europe. In the spotlight were Spanish banks after the Supreme Court ruled on Tuesday that lenders were not required to pay stamp duty on mortgages, sparing them from potentially having to reimburse billions of euros to borrowers who for years have paid the tax themselves. Shares in Sabadell , BBVA , Santander and Bankia rallied more than 3 percent. Topping the leader board were shares in dialysis care services provider Fresenius Medical Care which rose as much as 8.4 percent after a vote in California defeated a proposition to cap the profits of dialysis clinics. Healthcare stocks <.SXDP>, which could be affected by any changes to healthcare policy in the U.S., were generally positive, tracking the broader market rebound, up 0.8 percent.